Another divisive whisky in the vein of Loch Dhu - a massively dark dram with vociferous fans. The name is meant to mean 'black dog' in Gaelic. 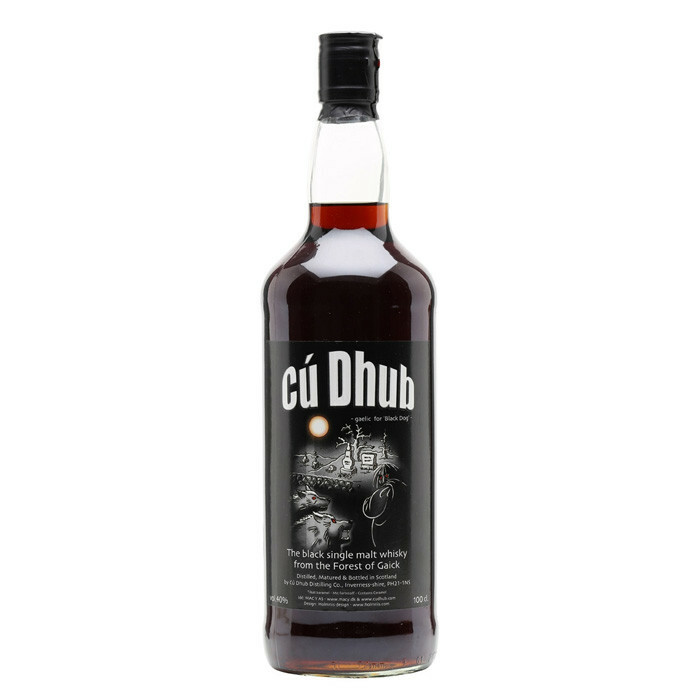 Pronounced 'Kaddoo', Cu Dhub Black is a slightly honeyed, thick, smoky offering from the Speyside distillery. Palate: Hot, notes of liquorice and vanilla tone forward. Sweet, smooth and well-balanced. Finish: Good balance between sweet and a hint of hot strong coffee. A whisky with a bite. The malt comes through.